Licorice skin whitening creams became vogue in the Philippines in the early 90's. As an avid beauty fan, I tried using the most popular licorice cream when it became available. Unfortunately, it didn't work out for me. Maybe I am allergic to one or more ingredients. Or it is just not compatible for my skin. But hey, it was worth a try! Afterall, licorice is considered one of the most effective skin whitening ingredient in the planet! Licorice, (Glycyrrhiza glabra) is a plant native to Central Europe, the Mediterranean and parts of Asia. It is an herb that is widely used as food flavoring in teas, candies, and even cigars as its root contains glycyrrhizin. Glycyrrhizin is a compound found in licorice extract that is a natural sweetener. It is 30-50x sweeter than table sugar (sucrose). Licorice is in fact sometimes used to mask unpalatable flavors in lozenges and cough syrups. Aside from being used as a sweetener, licorice extract is used in alternative medicine to cure asthma, colds, sore throat, and even psoriasis. Today, licorice is widely used to treat cough and colds. In Japan, some doctors use licorice to treat chronic hepatitis. Glycyrrhizin, a compound found in this plant, interferes with Hepatitis B antigen. Thus, it shows promise in treating hepatitis B. 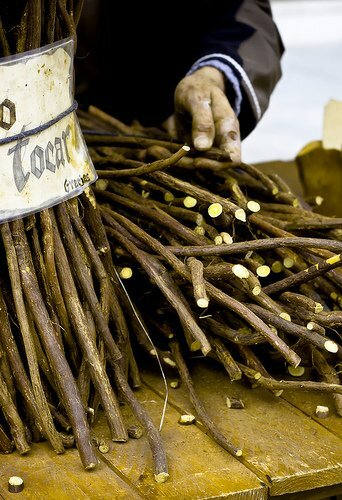 The extract, by the way, comes from the roots of the licorice plant. And in cosmetic preparations, the usual concentration regarded as safe is 0.5% dry extract of the plant. Licorice whitens the skin by inhibiting the formation of melanin, the black-brown pigment responsible for skin darkening. Licorice contains glabridin that inhibits the tyrosinase activity of melanocytes. Meaning, it prevents the melanocytes (skin cells that produce melanin) from producing melanin. Glabridin also inhibits the production of active oxygen species (O2) that causes skin darkening. For more information on glabridin, you may visit the glabridin website. It discusses the skin whitening effect of glabridin, as well as other properties of licorice. Check it out! Licorice also contains liquiritin that speeds cell turnover and therefore, skin renewal. Some studies show that liquiritin improves melasma in patients. It has the ability to disperse melanin pigments therefore, whitening the skin. There is not enough evidence on the efficacy of licorice soaps. This may be a reason why it's not as widely used as, say, papaya or kojic soap. As with all cosmetics, it takes time to see results. And it's a must to stay away from the sun to avoid skin darkening. So again, should you use soaps or creams containing licorice? Why not? Just follow the manufacturer's directions and see if the product/s work for you. Do you have information on the best licorice skin whitening lotions or creams? I welcome your comments, suggestions or testimonials. You may send me a quick note here! DISCLAIMER: No part of this document is intended to diagnose or treat any disease.